Escape Games usually contain some kind of jailbreak. But that is not the core of it. Basically, these games are played to forget about the real world for one hour together with a group of like-minded people, to dive into a scenario of your own choice, to search and combine clues, to solve puzzles and master many small and finally one big task. The important thing is: here, knowledge is not power. Although we generally approve of a good preparation, our Escape Games are not intended for examining your general education. Instead, teamwork is at the core. 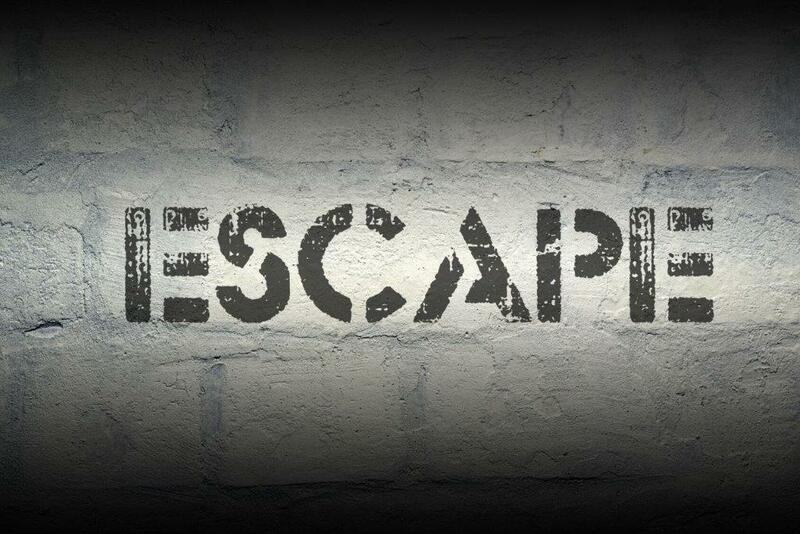 Escape Games require as well as stimulate your co-operation through communication, common consideration and combined action in an artificially created stressful situation. But we do not want to reveal too much… In the end, every player will by all means reveal personal strenghts and weaknesses, but the group can always profit from its member`s various talents. Everyone can become a hero here and be part of the success of the whole team. Congratulations! Pregnant escape game players in their last trimester should contact us before booking Escape from Alcatraz. It should not be an issue for groups of at least 3 players as the pregnant person can skip the slightly more physical part of the game and rejoin the rest of the players a few minutes later. If you are in the last trimester, please do contact us before booking to make sure we can host your game! Players between 12-16 can play Mission X with at least 1 adult, and Escape from Alcatraz requires a minimum of 2 Adults. Under 16s are not permitted into Haunted. How long do Adventox Escape Games take? A game takes up to 60 minutes. We suggest players to be there no more than 5 minutes before the start of the game. Please be on time, for delays will minimise your playing time. After your arrival you will meet your game master, who will give you a short introduction and answer all your questions. Afterwards, you will receive your briefing and start the game. You have up to 60 minutes to fulfil your mission. After the hopefully successful completion of your task, you will have a short debriefing and get to enjoy your victory or think about your mistakes as you prefer. We are happy to offer recommendations for food or drinks nearby to reflect. How do escape games work? Can an additional person join on short notice? It is no problem, if someone joins the team last minute as long as the total number does not exceed 6 players. You can pay £20 per additional player in store in cash or card. Team size exceptions are only made if the majority of players are young. We advise casual and comfortable clothes. For safety reasons, high heels are not suitable for escape game playing. Select the location you are interested in. Once selected, you can scroll down to a map where you will also find the address of the Adventox Escape Game Shop. Adventox Shepherds Bush is located in the West 12 Shopping Centre, just across the road from Shepherds Bush underground station. West 12 shopping centre has an NCP car park, a coffee shop, pub, Pizza Express and an Asian restaurant. Westfield is a short walk with many alternatives.